This was found in the garden of our wonderful garden writer friend Kym Pokorny. 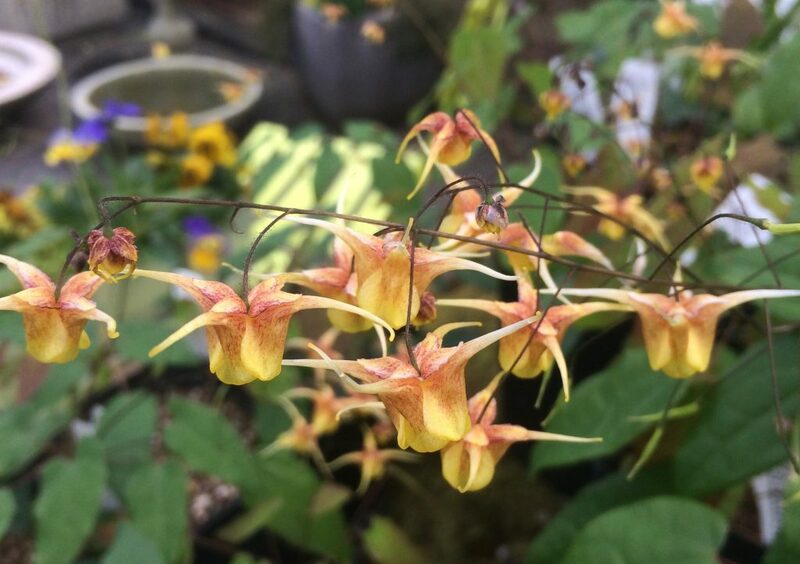 Its a superior selection with profuse star shaped gold flowers with an amber collar around the lower petals. New growth is dramatic madder red with darker splotches before settling to a soft medium green. The new foliage color in combination with the flowers yields a very sophisticated plant. Clump forming evergreen perennial for part shade to shade. Rich, well composted soil with regular summer irrigation sends this cultivar into a wonderful place. To 18″ across and 1′ tall in bloom. Remove winter tattered leaves in February to feature the new foliage/flowers. 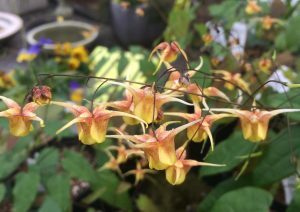 Epimedium are resistant to slugs and not often bothered by deer.